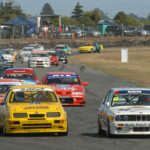 So far the 2018/19 New Zealand motor racing season has been kind to one of the sport’s favourite sons, ageless super-veteran Ken Smith. 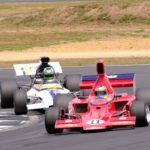 Despite it being his 61st consecutive summer racing at a national level the 77-year-old has won every 2018/19 SAS Autoparts MSC NZ F5000 Tasman Cup Revival Series race so far run (nine) in his Lola T332. Not..